Baychimo is an English steam boat name. This boat was built in Sweden in 1914 and was used in Alaska for trade and barter with Eskimos. After it was abandoned in 1931, several sailors have affirmed to have seen it over the seas. Certainly it is considered for a many people as a “ghost ship”. 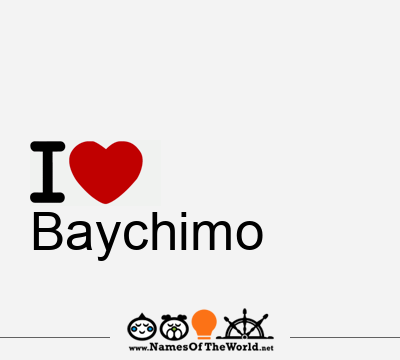 Download the image I love Baychimo and share it in your social profiles, web o blog! Do you want an image of the name Baychimo in arabic, chinese, gotic, etc. letters? Go to Picnames.com and create your own signature!